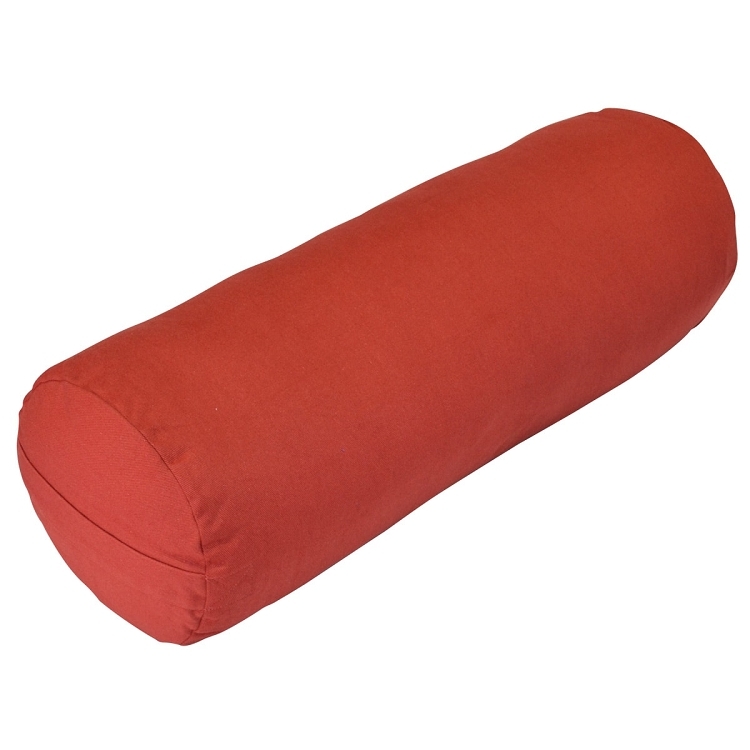 This yoga bolster is the ideal accessory you need for your intense yoga practice sessions. Supportive but soft, the yoga bolster will support any part of your body during prenatal, restorative or Iyengar yoga practices. Weighing in at 2.7 kg, the cover is made from 100% cotton and filled with Recron fibre so it won’t lose its shape. The bolsters’ covers are removable, making it easy to clean and care for. The bolster cushion has a zip installed, which allows yoginis to add or remove fibre based on how firm you want your bolster. Available in multiple colours, you can choose whichever colour suits you. Compliant with UK Furniture and Furnishings fire regulations, this hazard-free bolster is ideal for use at the gym, home or yoga studio. A: This one is about 70cm by 25cm, so it might just be large enough to do the trick! Q: Which of the bolster colour names in the drop down menu is orange? A: You are looking for "Sinopia"! Thanks! Q: Please can you tell me the weight and dimensions of this bolster? A: It is 71 cm x 25 cm and weighs 2.7 kg. 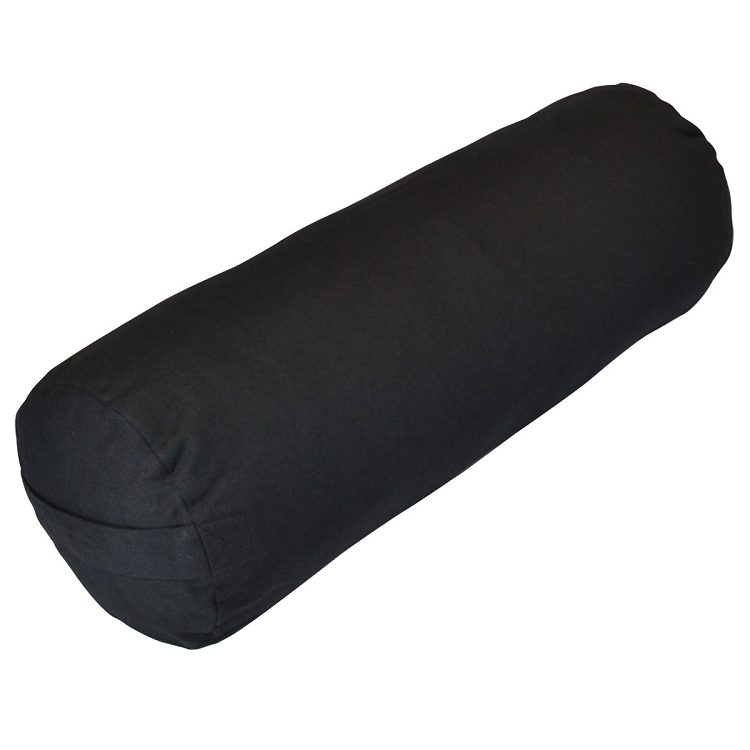 Filled with fire retardant Recron fibre, this firm yoga bolster will provide support and cushioning during any yoga asana. With two handles, this yoga bolster is comfortable, practical and easy to use. Bolster is extremely comfortable, I'm actually using it as a support during pregnancy as it encourages me to sit straight. The product is good quality, materials and colours are great and it arrived promptly. I had a pleasant surprise when I opened the parcel containing this product, the bolster is made of good quality material, is firm and gives great support during restorative yoga practices. I was also pleasantly surprised by how quickly the bolster arrived after ordering it. Superb quality item and great customer service. I love my new bolster. I had been searching for one that wouldn't break the bank for some time. This product is lovely & firm, has 2 handles, comes in my favourite colour and doesn't seem to lose shape. It's a great buy, I highly recommend. Lovely quality - sturdy and nice fabric. Using as a birth support and it will be useful for years to come I'm sure. Bought for my daughter who wants to increase her flexibility. She is delighted with it and feels that it is the perfect size for use in many positions. Good size bolster Well made. A good addition to any yoga routine. 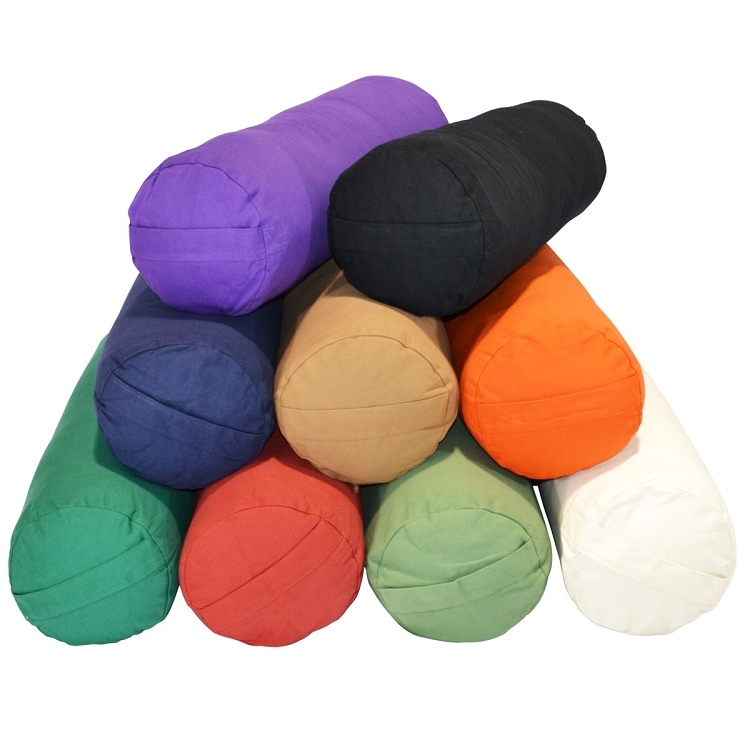 I am a yoga teacher and got my bolsters nearly a year ago - I use them in every class, several classes a week, 50 weeks of the year and they still look as good as new. They’ve not lost their support/firmness/structure and they wash really well. The cover are really hard to get back on after washing (you need two of you) but it’s to be expected for a secure fit. Really pleased, highly recommended. Delighted with my yoga bolster. Ideal for supporting more challenging postures. Really pleased and amazingly quick delivery - received the day after I ordered it.